The following article was originally published in The Commons issue #237 (Wednesday, January 15, 2014). To read the full article click here. BRATTLEBORO—The Friends of the West River Trail and the Vermont Land Trust completed the purchase and conservation of a 23-acre parcel along the West River about a half-mile north of the Interstate 91 bridge. Renamed the Riverstone Preserve, this ecologically diverse site is nestled between the river and the corridor of the historic former West River Railroad. The West River Trail, now occupying that corridor, is a dominant feature of the property. The trail is used for hiking, bicycling, cross-country skiing, and other non-motorized activities. The Friends of the West River Trail and the Vermont Land Trust (VLT) worked together to purchase and conserve this parcel. The two organizations received a $65,050 grant from the Vermont Housing and Conservation Board (VHCB) and raised $32,200 in local funds and foundation grants. The Friends own the property and future uses will be in accordance with a conservation easement held by VHCB and VLT. “The Friends are so pleased to have had the opportunity to work with the Vermont Land Trust to conserve this piece of land,” said Kathleen White. “We are grateful to VHCB for the award and to all the donors that helped make this possible, and are excited about how public access to this land will benefit the community.” The land has an unusually rich complement of natural communities, including a floodplain forest, river shore grasslands, and river cobble shore. There are also several rare and uncommon plants, insects, and mussels, whose habitat is now protected. “The Friends are a dynamic group of volunteers,” said Joan Weir, southeast regional director with the Vermont Land Trust. “It’s been a pleasure to work on this project and we look forward to seeing the continued active stewardship of this treasured resource”. 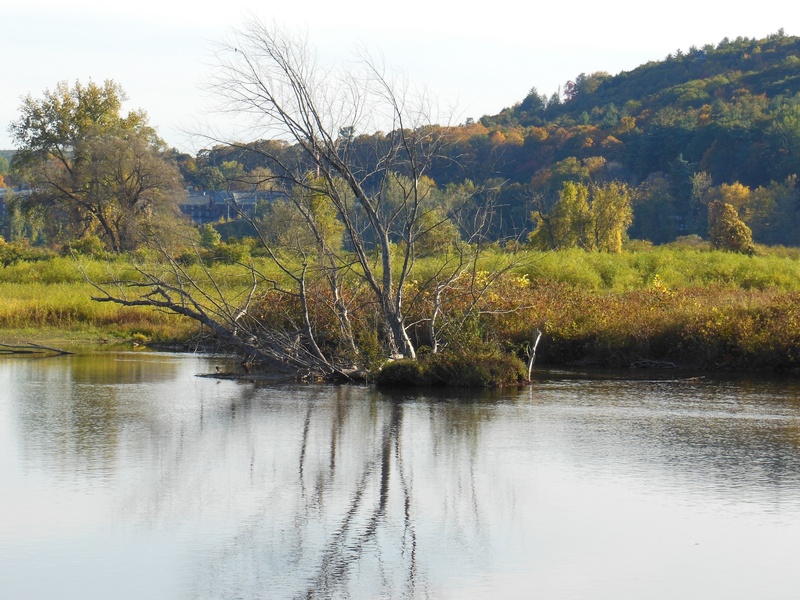 The Friends sought to protect this property because of its ecological features and the recreational, scenic, and educational benefits the land can provide to the greater Brattleboro community. Plans include enhancing the trail’s accessibility as a community amenity for recreation and school field trips. A picnic area and side trails that provide access to the river shore are envisioned. This entry was posted in lower section, west river trail and tagged friends of the west river trail, Riverstone Preserve, vermont land trust, west river trail. Bookmark the permalink.